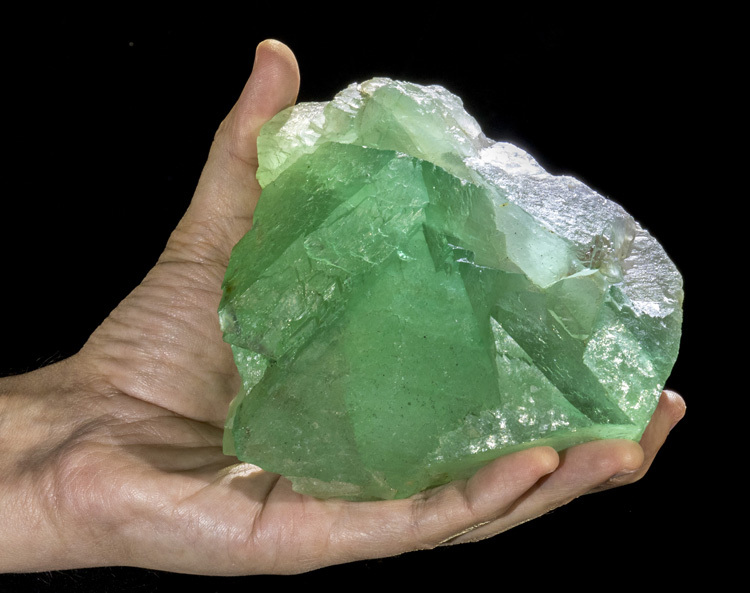 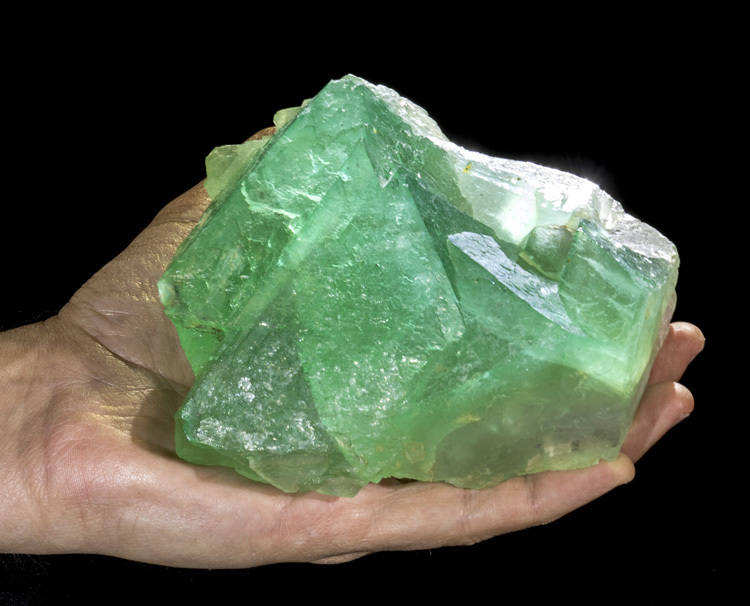 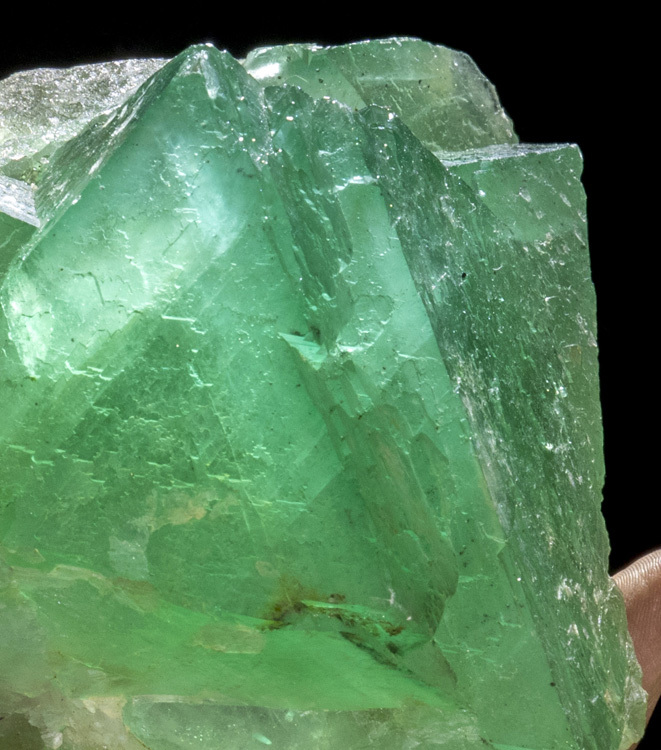 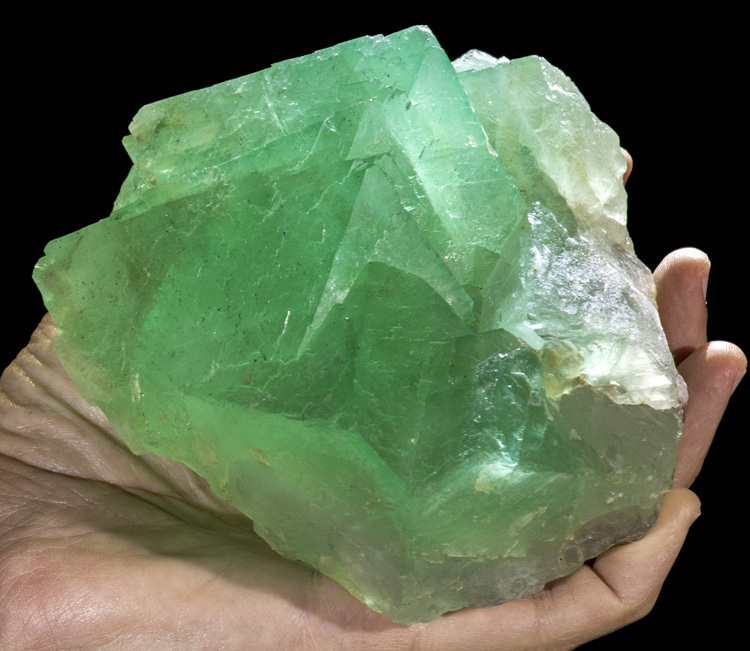 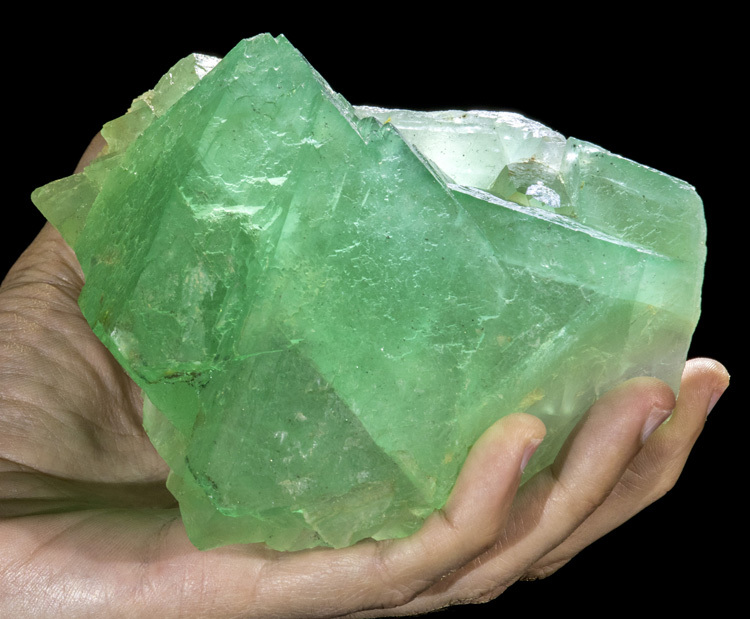 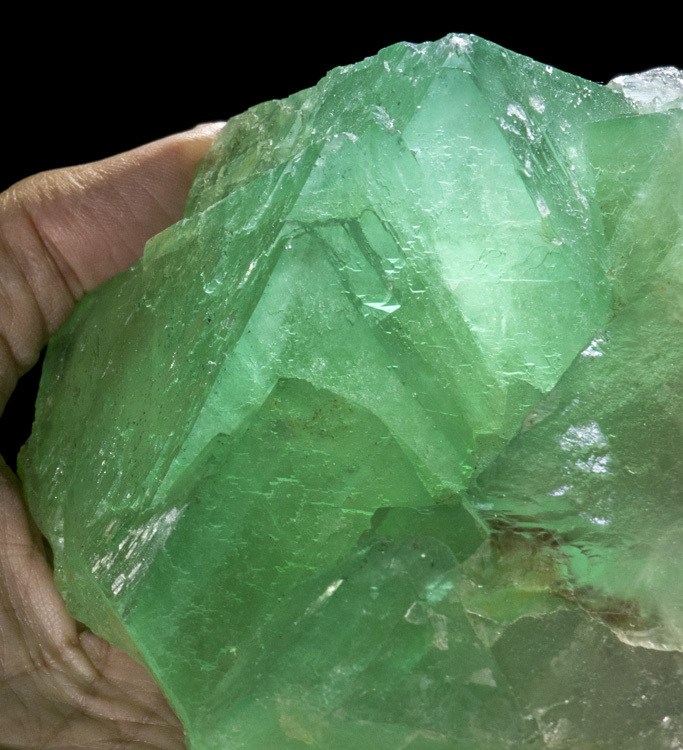 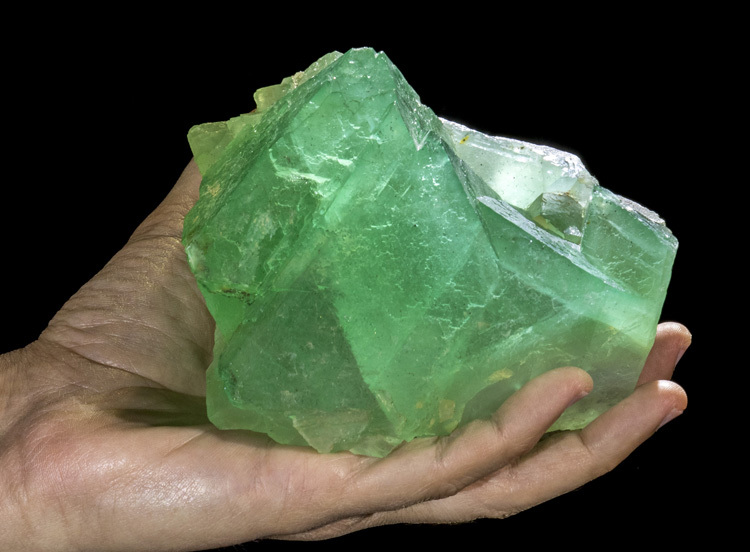 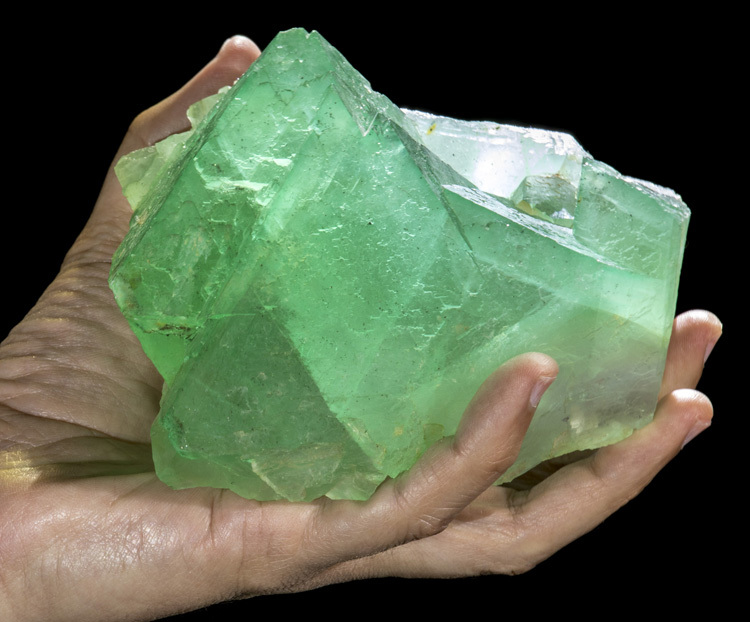 This is a large, green fluorite octahedron cluster from Riemvasmaak, South Africa. 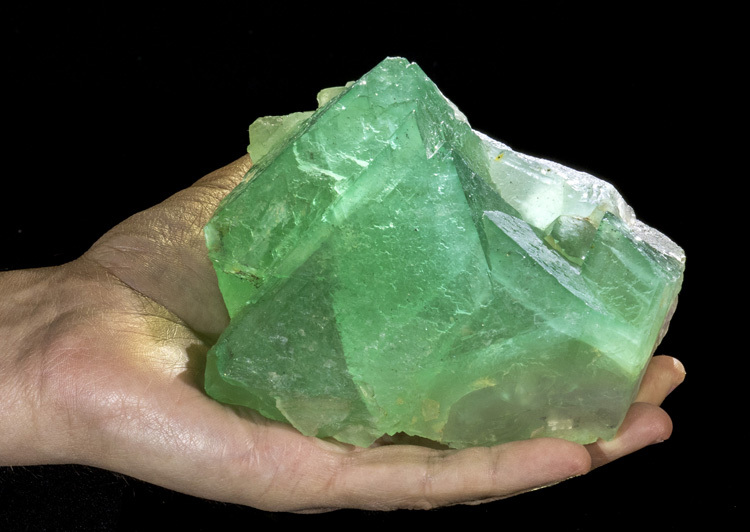 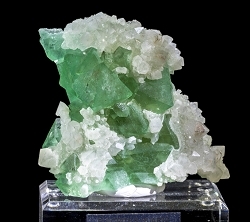 The fluorite crystals are extremely large with the longest edge measureing 8.1cm. 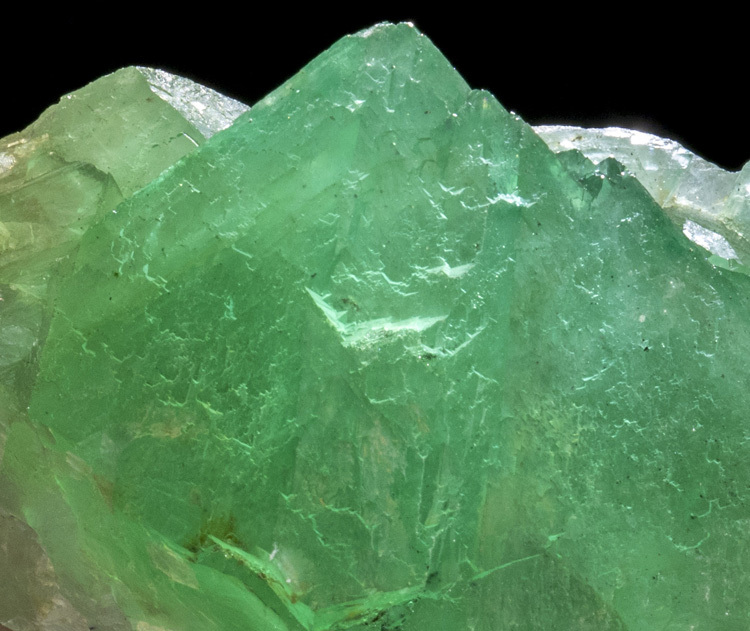 The color is very good with good green saturation and almost none of the yellowish inclusions that you see with the lower quality fluorites from this locale. 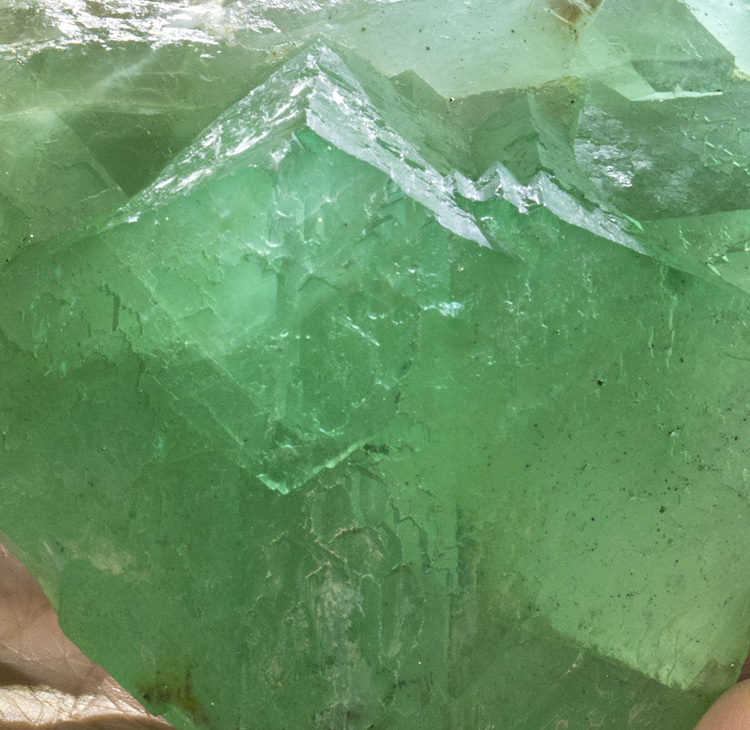 Condition is good on the front side with the main faces. 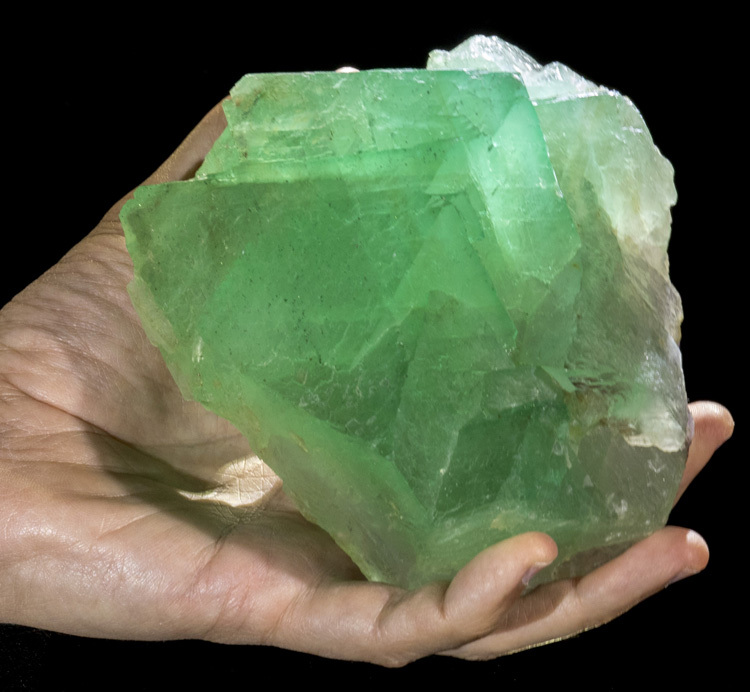 The bottom and back area is where it was removed from the host rock.